With test rugby going on a break until next year we look back at the year that was in 2018 and pick our team of the year. Ireland are understandably well represented while there are a few surprises and exceptionally close calls in a number of positions. Only performances in the test arena count towards selection with club form having no effect on the selection. The powerful front rower pushed Springbok centurion Tendai Mtwarira all the way during June and the opening stages of the Rugby Championship and looks to have taken over South Africa's first choice loosehead. Malcolm Marx grabbed the headlines for his exceptional showings in the Rugby Championship but Marx's inconsistency, especially at lineout time, sees him lose out to the Les Bleus captain. France had a disappointing year overall but Guirado was outstanding despite missing the tour to New Zealand in June. He made a mammoth 31 tackles against Ireland in the Six Nations and went on to score 4 tries in 3 games during November. The French captain was also nominated for Six Nations Player of the Tournament. Widely regarded as the finest tighthead in the game, Furlong had an incredible year and produced a number of performances worthy of the tag as the best tighthead prop in the game. 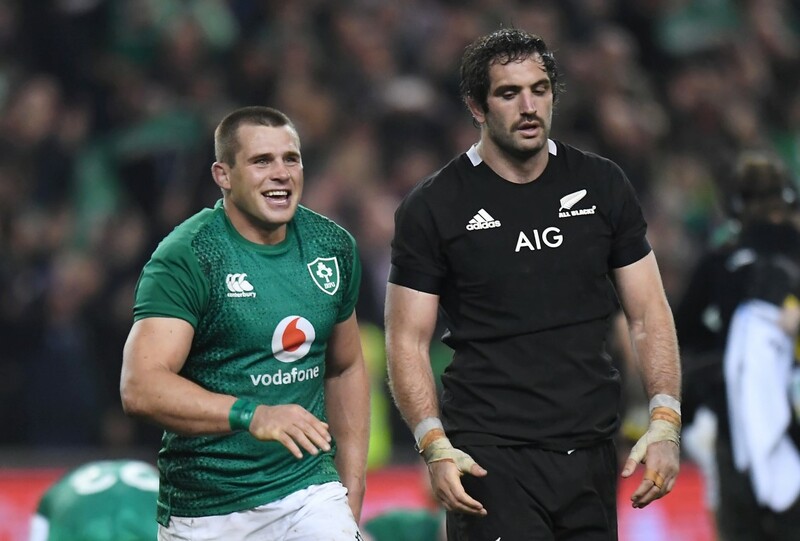 The Irishman was outstanding during the Six Nations and was vital to Ireland's historic series win over the Wallabies and their first win over the All Blacks in Dublin. The Springboks' Frans Malherbe also had a great year, while Owen Franks was superb for the All Blacks before his year was cut short with an injury. Kyle Sinckler's efforts also deserves a mention, especially his form during the November Internationals. Nakarawa was pushed all the way by the All Blacks Brodie Retallick for a place in the side. Retallick was in fine form in the Bledisloe Cup and played a key role in the All Blacks come from behind victory over England and scored the try of the year. However, the Fijian second rower is rewarded for his fine performances as Fiji rose to their highest ever World Ranking. Nakarawa showed off his brilliant ability to offload the ball and was vital to Fiji's victory in the World Rugby Pacific Challenge and their first ever win over France. Maro Itoje also had an excellent year for England. Ryan had yet another stellar year in the green jersey despite suffering his first ever defeat. The 22-year-old was sublime in Ireland's come from behind series win over the Wallabies and had a superb game against the All Blacks in November. The Springboks' Franco Mostert was also consistently brilliant throughout the year while Sam Whitelock also enjoyed a superb season for the All Blacks while Alun-Wyn Jones was great for Wales. 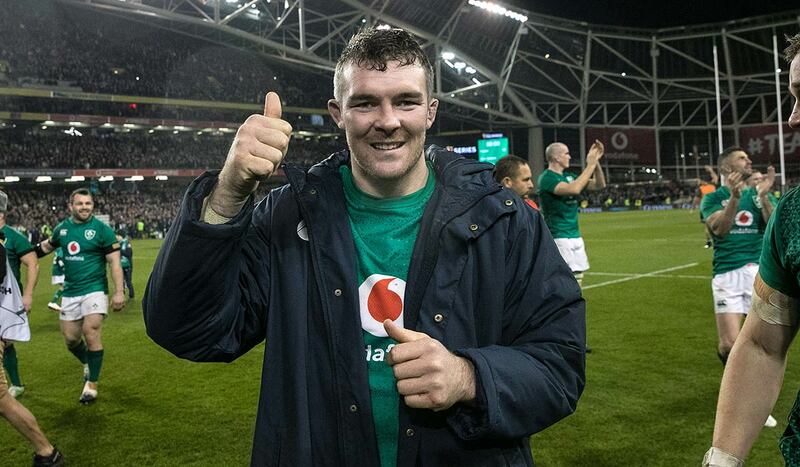 O'Mahony is another Irishman that had a year to remember! Like Furlong, O'Mahony is regarded as one of the best, if not the best in his position. He terrorised opposition's lineouts throughout the year and produced an absolute masterclass against the All Blacks. Argentina's Pablo Matera enjoyed a fine year despite his side's results while Shannon Frizell showed flashes of brilliance. Japan's Michael Leitch also deserves a mention for his performances for Japan throughout the year. The busy Springbok has cemented his spot in the Springbok starting lineup this year with a number of strong performances. Whether he featured in the second row or on the side of the scrum. Du Toit's performance against the All Blacks in Wellington highlighted his year. He regularly hit double digits in both the carries and tackles made throughout the year. Justin Tipuric was outstanding in both the 6 & 7 jerseys for Wales and narrowly misses to the Springbok flanker. Ardie Savea also stepped up in the absence of Sam Cane. Stander was Ireland's go to man for front football throughout the year and played a vital role in Ireland's Six Nations Grand Slam, their win over the Wallabies and their November clean sweep. Ireland's no.8 beats the ever impressive David Pocock to a place in the side with Duane Vermeulen also showing fine form for the Springboks. 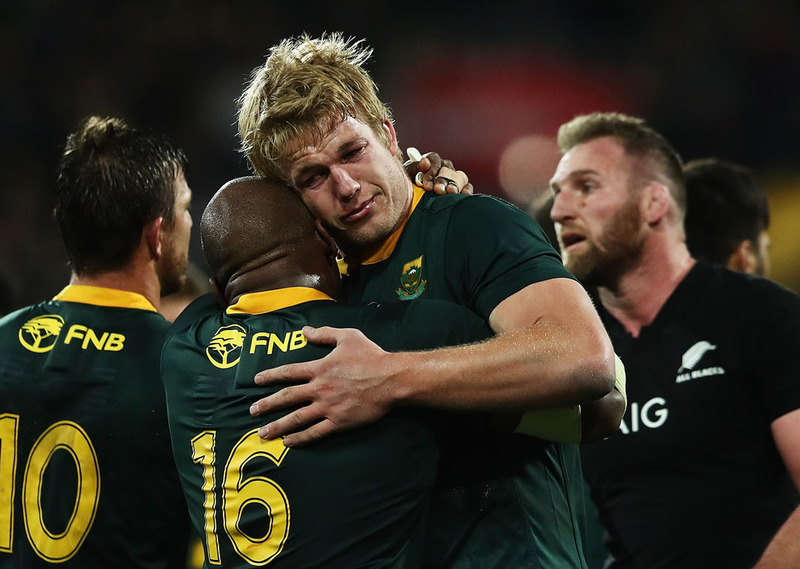 De Klerk returned to test rugby in fine form helping the Springboks to a series win over England and historic win over the All Blacks in New Zealand. He was sorely missed for the Boks during their November Internationals with de Klerk just featuring in one of the Springboks 4 matches. He just edges Conor Murray to a place in the side. Sexton was deservedly named the World Rugby Player of the Year following his outstanding form with Ireland. He played a crucial role in winning the Six Nations including a clutch drop goal against France. Ireland also failed to lose a game that Sexton started this year. Sexton beats the All Blacks Beauden Barrett to a place in the side with the All Blacks playmaker enjoying another stellar season including a four-try haul against the Wallabies at Eden Park. Ioane built on an outstanding 2017 that saw him being named the breakthrough player of the year. Ioane began the year with 5 tries in 3 matches against France in June and followed that up with 5 tries in 4 games during the Rugby Championship. Although he didn't score a try in four games during the November Internationals he was a threat every time he touched the ball and was one of the All Blacks' standout players on tour. Aki was exceptional throughout the year for Ireland which sees him edge the likes of Ryan Crotty and Hadleigh Parkes to a place in the side. Like Stander, Aki was one of Ireland's go to ball carriers throughout the year and was another regular in a successful year for Irish rugby. Jones had an outstanding Six Nations for Scotland scoring 3 tries as Scotland finished the tournament in third place. Jones also had an outstanding game against the Springboks and was solid against Argentina in the final game of the year. Jack Goodhue, Garry Ringrose and Jonathan Davies all came close to making the side but they all suffered injuries which stalled their progress this year. 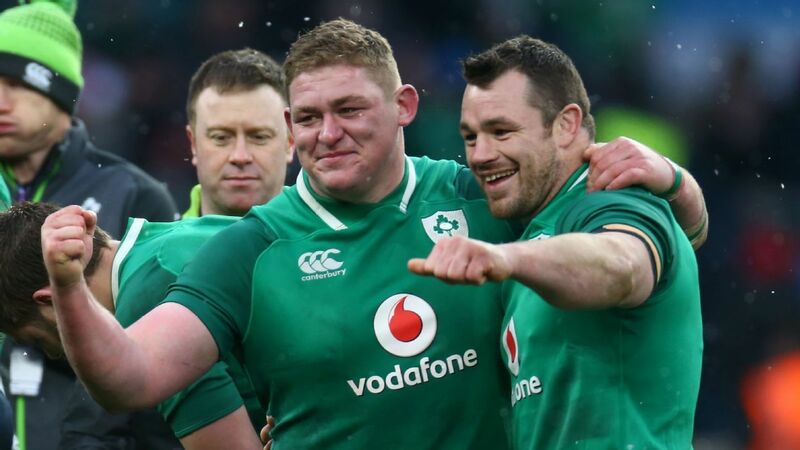 The Six Nations Player of the Year was outstanding for Ireland as scored six tries during their Grand Slam Six Nations and Triple Crown, breaking the record for the most tries scored by an Irish International in the Six Nations. He also scored the match-winner against the All Blacks to secure a historic win in Dublin. Liam Williams is unlucky not to make the cut after another impressive season with Wales. Hogg topped the running metres in the Six Nations this year and was outstanding for Scotland every time he pulled on the Blue jersey. Australia's Israel Folau also had a superb year despite the Wallabies form, as did Willie Le Roux for the Springboks, while Rob Kearney and Damian McKenzie were also in the mix.